Poppy seeds have been cultivated for over 3000 years, and they are the seeds of the plant that produces opium but while opium is derived from the unripe seed capsules of the poppy, the seeds are produced when the flower has bloomed and died. One of the smallest seeds used in cooking; there are almost one million poppy seeds to the pound. (450 g). Not a lot of people know that. 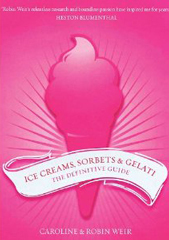 We were surprised by the emphatic flavour of this gelato. It has a readily identifiable nutty-poppy seed flavour and does not need any additional prop (usually almond) to help it. 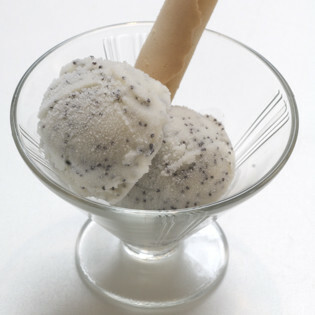 "Rezept von Caroline & Robin Weir: Poppy Seed Gelato"